Business InsiderMitch McConnell during an interview with Business Insider. Senate Majority Leader Mitch McConnell says he can’t stand being lectured by President Barack Obama. During an interview with Business Insider last week to promote his newly released memoir, “The Long Game,” the Senate majority leader went into detail about what he considered the president’s most “irritating” characteristic. 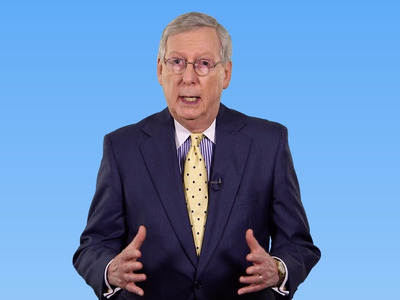 In his book, McConnell referred to the president as “Professor Obama.” He wrote that at least on one occasion, he watched an inning of baseball while Obama talked on the phone about a negotiation.